The Anesthesiology neuroscience research program studies how consciousness works, particularly when patients are under anesthesia or sleeping naturally. Subimal Datta, PhD, Professor of Anesthesiology, has been researching the link between sleep and neurological disorders. He is recognized as one of the world's leading sleep experts, with studies on insomnia, addiction, depression and anxiety disorders, including PTSD — all done through the lens of sleep. Sleep is one of the best windows for studying the brain, and studies have shown that sleep carries with it a number of positive functions. Dr. Datta is focusing on how the brain regulates a certain sleep stage, called REM, or dreaming sleep. Particularly of interest is how the brain processes different types of memory during this stage. "We encode information as we go through the day, and that information goes into short-term memory," Dr. Datta said. "If we don't sleep, the information is lost. It will simply disappear." But if we sleep long enough to achieve the dream state, our brain is able to place that information in long-term storage. "Sleep has four distinct stages of memory processing," said Dr. Datta. "Each stage does something different." In the first stage (N 2 sleep stage), the brain sorts the information into two piles, one to discard and one to keep. In the second stage (delta sleep), about 90 percent of the information is thrown away — typically information you already know. In the third stage (transition between non-REM and REM sleep), the brain strengthens the memories, and in the fourth (REM sleep), it puts memories into long-term storage. Dr. Datta compares it to putting away your groceries. "After you shop, you have two choices. You can put the bags in the kitchen, and if you need something later, go through all the bags to find it. "But if you have a system, where frozen foods go in the freezer, cold ones in the fridge and canned goods in the cabinets, you can easily find whatever you need. This is like the brain sorting memories for long-term storage." In addition to the correlation between sleep and long-term memory, the research program is also looking deeper at the link between sleep and psychiatric disorders. Because the brain uses the same neurochemicals and processes in both experiences, if they can understand sleep, they may also isolate the source of stress, anxiety and other psychological issues. "A lack of sleep can trigger early onset of all sorts of psychological disorders," said Dr. Datta. For example, if someone is genetically predisposed to Alzheimer's, Huntington's or Parkinson's, a consistent lack of sleep (fewer than six hours a night for 20 years), can trigger the disease 10 years earlier. Diabetes, hypertension and heart disease can also be triggered by deficient sleep. Dr. Datta notes that, if you can't sleep a full six hours at a time, taking a nap during the day helps. "If you sleep four hours at night and two during the day," he said, "it's not equal but it's much better than just getting four." Dr. Datta will continue his innovative research with the Neuroscience Research Program through a generous grant from the National Institutes of Health. "A lot of progress has been made in understanding sleep and the brain over the last 50 years," he said. "While we may never know all there is to know about it, we continue to do what we can to understand it better." This fall, Eder will begin medical school at the UT Health Science Center in Memphis, with the hopes of pursuing a career in academic medicine. 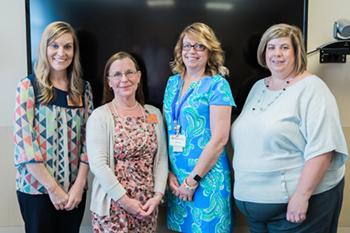 The UT Graduate School of Medicine recently honored employees with the 10th annual Employee Excellence Awards program. Excellence Awards are given to staff members who go beyond the scope of their jobs by providing outstanding job performance, courtesy and customer service, community service and leadership. View photos from the Awards presentations and luncheon on Flickr. Donna Doyle has initiated several programs for Preston Medical Library that support narrative medicine and healing through arts and humanities. Doyle leads Literary Rounds: Where Medicine Mingles with the Muse, a monthly program that hosts writers, poets, songwriters, journalists and speakers to talk about their literary work related to medicine. Since 2009, Doyle has published six poems in the Journal of the American Medical Association. Her work has also been anthologized in several non-medical works. In her role as Poet-in-Residence, Doyle utilizes the library as a focal point for integrating poetry and other expressive arts into the medical center community. She has also been a leader in the Team Member Giving Campaign in which she shared that she gives because of a personal experience where a custodian at the medical center lifted her up when she was grieving for a hospitalized loved one. In nominating her, Sandy Oelschlegel, Director of Preston Medical Library, said, "Compassion, empathy, intuition, relationship building are all words that describe Donna. ... Donna is a quiet leader that does not seek recognition, and I would love to see her get a leadership excellence award." Tina Richey oversees preclinical models and compliance in support of amyloidosis and cancer therapy research. In addition to her work, she is known for her spirit of giving at the medical center as well as within the community. Richey supports Fantasy of Trees by decorating a room each year that has lead to more than $10,000 per year for the fundraiser. She knits blankets for the Alzheimer's TN Christmas project to provide gifts to Alzheimer's patients who do not have family during the holidays. She also knits hats for babies in the NICU and collects vases for Random Acts of Flowers. Richey is known to be an advocate of most philanthropic opportunities that arise in the medical center. Of Richey's efforts, Kristen Vandergriff, Research Coordinator, said, "Tina goes above and beyond to support many philanthropies in our area. She has such a giving heart and is always thinking of ways to help people in need." 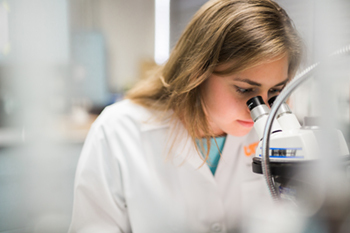 Ashley Smith supports the department and all of the residents and fellows for the UT Graduate School of Medicine. 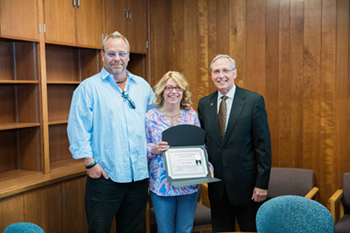 She ensures all paperwork is in place for residents from program application all the way through their graduation and is the go-to person for any issues that arise during their tenure. She manages financial reports for all departments and organized the process for producing the cost report, which is the basis for GSM revenue. 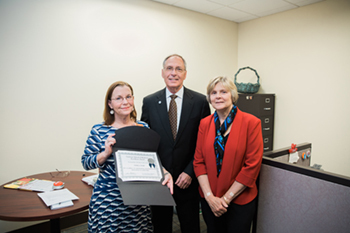 She supports the institution and departments to ensure continued accreditation, and she organizes the orientation schedules, which usually involve two weeks worth of events. 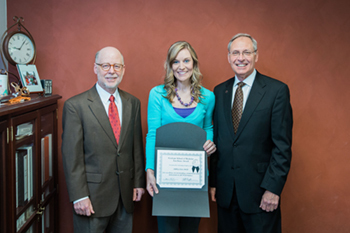 William Metheny, PhD, Assistant Dean of GMDE, said, "Ashley has received the highest marks possible for performance for the past three years. She is consistent and customer-focused, she has in-depth knowledge of GME/GSM/UT policies and procedures, she is focused on performance and responsibilities, and she is consistently upbeat and supportive of team members." Hope Wright directly supports the Chair of Surgery as well as the entire department. She ensures the staff, faculty, residents and students have all of their institutional needs met in a polite, friendly and supportive manner. She is said to work tirelessly for the educational programs including the Surgery Residency and Medical Explorations. As the first person many people meet, she is said to be always smiling and very helpful, even helping visitors within the hospital find where they need to go. Wright is known for being a problem solving - knowing what to do, where to look, who to ask, and how to get the job done correctly. 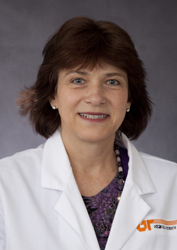 In one nomination of Wright among several, Jeffrey Hecht, MD, Associate Professor of Surgery, said, "Although she is very busy with Departmental isuses and the multiple projects of her energetic chairman, she always makes people feel as if she had nothing else to do but help them." "Twins born more than 5 weeks apart in Knoxville"
"'God is in control': Mother gives birth to fraternal twins born more than five weeks apart after her water broke in one sac but not the other"
"Harry Potter's world exposed at UT Medical Exhibit"
"Harry Potter exhibit opens at UT Medical Center"
"Tennessee Mom Gives Birth to Twins - Weeks Apart"
"Dr. Jerry Epps Named Chief Medical Officer at UT Medical Center"
"First patient in clinical trial comes to Knoxville for treatment"
"UTMC enrolls first US patient in liver cancer study"
"Flu Prevention Key for Pregnant Women"
The University of Tennessee Mechanical, Aerospace, and Biomedical Engineering (MABE) Department held its first Senior Design Expo to showcase senior design projects from more than 30 teams. First place was awarded to a team of students known as the UT Clippers who were collaboratively mentored by Michael Walsh, MD, Director of Neuro-Oncology, and Dustin Osborne, PhD, Director of the Molecular Imaging and Translational Research Program at the UT Graduate School of Medicine and Jeff Reinbolt, PhD, MABE Associate Professor. Their project involved the creation of a prototype modular aneurysm simulation model that could allow physicians to practice aneurysm clipping, a surgery performed to treat an aneurysm when the artery wall leaks or ruptures, prior to the actual procedure. This team was one of two teams mentored by Dr. Walsh and Dr. Osborne this year. Other projects presented at the Senior Design Expo included a virtual reality forklift training system; a foot-pedaled, portable vaccine refrigerator that can be carried on a person's back; a detachable percutaneous endoscopic gastrostomy tube; and an aircraft fuselage cleaning system that can reduce time and injury. All teams displayed posters, prototypes and gave presentations during the expo. Cash prizes were given to the top three posters, and the crowd, which included fellow classmates and company sponsors, had the opportunity to vote on their favorite project in the people's choice award competition. Fifteen industrial sponsors, including Boeing, DENSO, Eastman, Lexmark, and the National Institute of Health, funded the senior design projects. 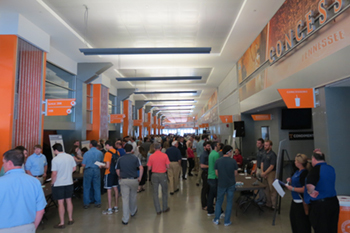 Learn more about the innaugural Senior Design Expo. Mitchell Goldman, MD, Assistant Dean for Research and retired vascular surgeon, was presented with a special puppet known as Alex who was used to educate children and families about organ and tissue donation and transplantation through Kids on the Block, a troupe of education puppets. 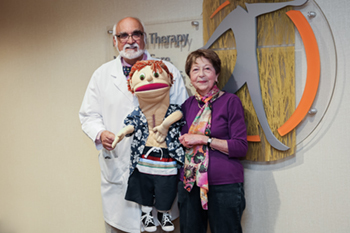 Trudy Dreyer, Alex’s volunteer puppeteer, presented Alex to Dr. Goldman upon her and Alex’s retirement from the organization. Kids on the Block uses puppets to help children understand differences in one another and teach children how to protect themselves in difficult situations. According to its website, the organization was formed in response to a 1977 law that required children with disabilities to be educated in the least restrictive environment, which typically meant children were included in classrooms with non-disabled peers. The first puppet created was known as Mark Riley who represented a child with cerebral palsy. To educate children on organ donation and transplantation, The University of Tennessee Medical Center's Center for Transplant Services secured a grant more than 20 years ago that Kids on the Block used to create Alex and two other puppets who told a story about a heart transplant. Alex's character was Alex Landry, an 11 year old who received a “new” heart because he had a condition known as cardiomyopathy. Another puppet, Melody James, was the sister of Darryll, whose heart Alex received, so Melody told about the donor perspective. Michael Riley was an 11 year old who was curious about both organ donation and transplants, so he helped to narrate Alex and Melody’s story. Dreyer said she chose to be Alex’s puppeteer because her husband had had a heart transplant at Hunter Holmes McGuire VA Medical Center, where Dr. Goldman's work helped found the nation's first heart transplant program. When she and Alex retired from the Kids on the Block program, she wanted to give Alex to Dr. Goldman because he was instrumental in guiding her husband toward transplantation, and she thought Alex should go to someone who did transplants. Learn more about Kids on the Blocks and its programs and puppets. 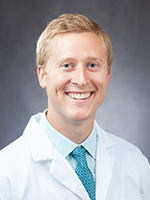 Patrick McFarland, MD, Anesthesiology Resident, has been selected as the Tennessee Medical Association Resident and Fellow Section Governing Council Chair for 2016-2017. The Resident and Fellow Section is an organized membership of TMA that helps focus attention on issues unique to Tennessee resident physicians and provides a forum for residents and fellows to communicate with each other and the membership at large. In addition, RFS members help create TMA policy and help shape the environment in which they will one day practice medicine. According to TMA, it is the state's largest professional association for physicians, bringing all physicians together in efforts to continually improve effectiveness of physician care and ensure proper policy to serve the best interests of patients and the profession. 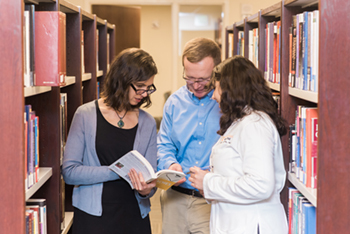 Open to all medical doctors or doctors of osteopathy licensed to practice in Tennessee, the TMA currently has more than 8,000 members who also participate in local, regional and specialty medical societies throughout the state. 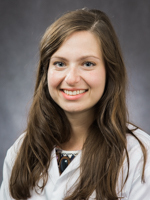 Lauren Grimsley, MD, first-year Surgery Resident, was selected by the University of Tennessee Health Science Center College of Medicine Class of 2017 to receive an Arnold P. Gold Foundation Humanism and Excellence in Teaching Award. Medical students selected residents they recognized as role models and whose characteristics as young physicians best represent the definition of humanism as defined by the Gold Foundation. Other award recipients from UT College of Medicine were Chris R. Collins, MD; Patrick R. Higgins, DO; Michele McAmis, MD; and Catherine Watson, MD, from the Memphis campus; and Amit S. Shah, MD, from the Chattanooga campus. Award recipients were honored at the Student Clinician's Ceremony in Memphis and will be inducted as members to the Arnold P. Gold Humanism Honor Society. 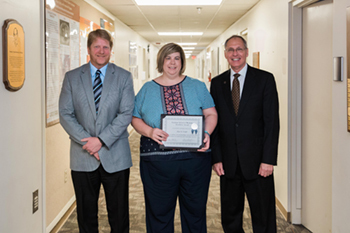 Janet Purkey, MD, FACP, Associate Professor and Medical Student Clerkship Director in Medicine, was awarded the 2016 Outstanding Physician and Teacher award by the Class of 2017 College of Medicine, University of Tennessee Health Science Center, Memphis, Tennessee. She was selected by the class based on her enthusiasm and passion for teaching medical students and excellence in patient care. She was invited to speak to the Class of 2018 as the rising third-year students began their clinical rotations on May 2. Acting as an ambassador for physicians, she encouraged the incoming students giving examples of the challenges and unique learning experiences found only by direct patient care. Dr. Purkey said, "Respect for each specialty is critical as we rely on pathologist and radiologist being the best physician as well as each surgeon, internist, gynecologist and subspecialist. Our patients rely on us to provide the best care possible. Focus on the things that are worthwhile. Live below your means to help you get out of debt from school." She also encouraged them to be a team player and respect their colleagues. "Get to know all the team including not just the nurses, but the therapists, housekeepers, case managers and transport personnel." 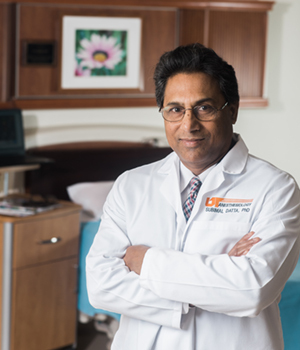 The University of Tennessee Medical Center announced that University Bariatric Center has been re-accredited for the third time as a comprehensive center under the Metabolic and Bariatric Surgery Accreditation and Quality Improvement Program (MBSAQIP®), a joint program of the American College of Surgeons (ACS) and the American Society for Metabolic and Bariatric Surgery (ASMBS). The Tri-Cities Affiliate of Susan G. Komen® has awarded a $3,105 grant to the Breast Health Outreach Program (BHOP) at The University of Tennessee Medical Center Cancer Institute to remove barriers such as transportation and cost of the screenings as well as improve access to breast health screenings for the women of Hancock County.